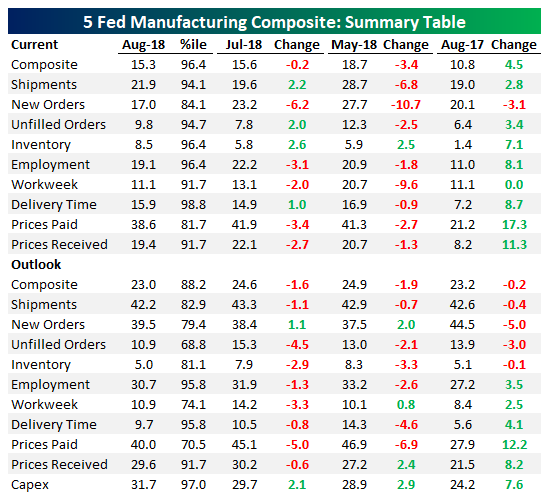 Each month, we aggregate the 5 regional Fed manufacturing activity indices into one gauge that assesses activity around the country. The sample includes manufacturers in the NY, Philadelphia, Richmond, Kansas City, and Dallas Fed districts. As shown in the table below there were a couple of improvements in the current assessment of various categories of activity, with Shipments, Unfilled Orders, Inventory, and Delivery Time all rising versus July. While August wasn’t a horrible result, only one category (Inventory) is up in the last three months. 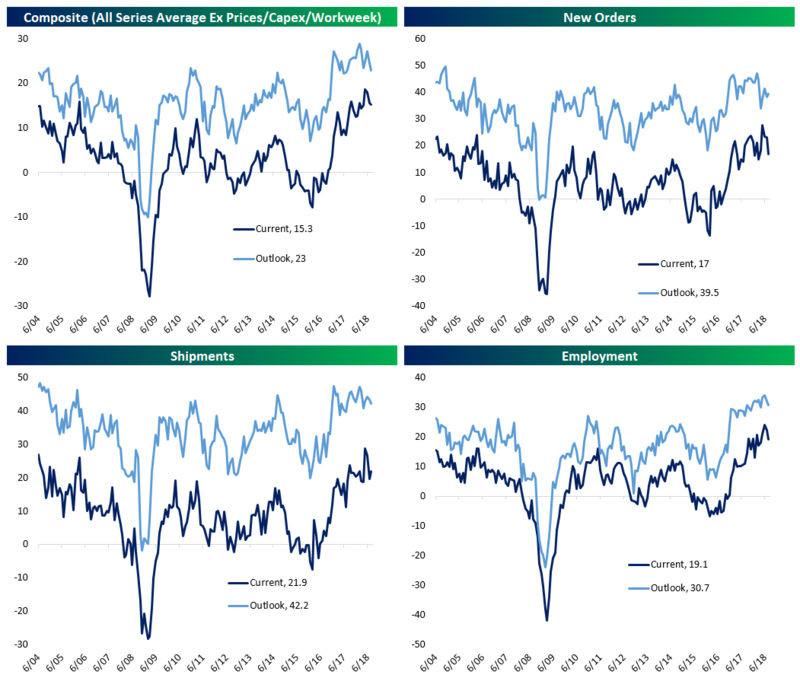 Expectations were much weaker sequentially, with only two categories (New Orders and Capex) rising sequentially. Finally, we note that while indices are declining broadly, most categories are still at very high levels as shown by the percentile column. Below we show charts of selected industries from above along with the composite of all series. As shown, the composite is definitely pulling back with New Orders especially weak.